Hormones such as human growth hormone (GH) and testosterone have been shown to play a role in muscle hypertrophy and strength gains. One of the core training principles for muscle hypertrophy among weight trainers is short rest— less than 1 minute between sets. In 1988, anabolic hormone guru William Kraemer, Ph.D., performed a study that literally changed the world of weight training overnight. A separate study published in the Journal of Strength and Conditioning Research examined the effects of three different loading routines on testosterone and cortisol levels.2 Subjects were randomly assigned to a power workout (8 sets of 6 reps, 45 percent of 1-repetition maximum, 3 minutes rest), a hypertrophy workout (10 sets of 10 reps, 75 percent of 1-repetition maximum, 2 minutes rest) and a maximal strength workout (6 sets of 4 reps, 88 percent of 1-repetition maximum, 4 minutes rest). The hypertrophy scheme (10 sets of 10 reps) increased testosterone and cortisol, whereas the power and maximal strength schemes produced little to no endocrine change. In general, the post-exercise testosterone and cortisol response to the hypertrophy scheme was greater than the other two schemes, which displayed largely similar profiles. A previous study published in the Journal of Strength and Conditioning Research found that short rest periods led to a decrease in the number of repetitions performed in the workout. In the study, resistance-trained men performed an upper-body workout consisting of two experimental training sessions. Both sessions consisted of 3 sets of 8 repetitions with an 8-repetition maximum resistance on six upper-body exercises: wide-grip lat pulldowns, close-grip pulldowns, seated machine rows, barbell rows lying on a bench, seated dumbbell arm curls and seated machine arm curls. The two experimental sessions differed only in the length of the rest period between sets and exercises: one session was performed with a 1-minute rest and the other with a 3-minute rest period. It should be of no surprise that the group that rested 3 minutes between sets was able to perform a greater number of repetitions compared to the 1-minute rest session.1 Think about a few extra repetitions performed during each workout over a six-month period and how much added strength and size that would add up to. New research has shown that the body has an incredible ability to adapt to exercise. In another, more recent study published in the Journal of Strength and Conditioning Research, researchers from the University of Nebraska recruited subjects and randomly assigned them to a 10-week resistance training program with either 1 or 2.5 minutes of rest between sets, training four times per week. Subjects were advised to consume 1.7 grams of protein per kilogram of body mass each day to ensure adequate nutritional resources for training-stimulated adaptation. Researchers found that in the first week, the ‘1 minute between rest’ group exhibited a greater overall hormone response to weight training than the ‘2.5 minutes’ group. In week one, post-exercise testosterone and cortisol levels were significantly greater in the 1-minute group than in the 2.5-minutes group. However, these differences diminished by weeks five and 10, in which post-exercise hormone levels in the two groups were similar. What this study shows is that the body adapts to its training routine; the physiological stress of resistance exercise is diminished with time. 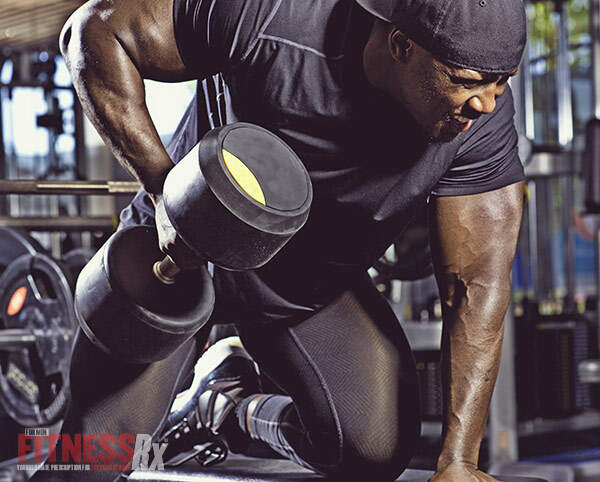 The bottom line is that you have to constantly shock your body with new training routines! The key point of the study is that the hormonal responses (GH and testosterone) were greater during the first week and had diminished by the 10th week of training. The study emphasized that changing your workout reduces the training adaptation that takes place, and keeps you growing. 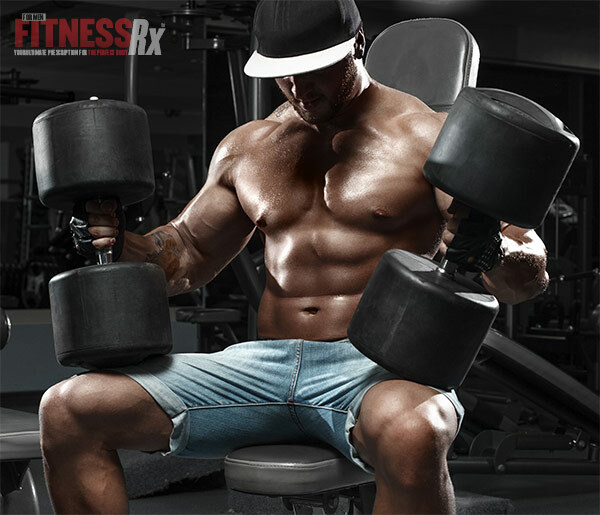 Fast Curl-Ups for Ripped Abs!